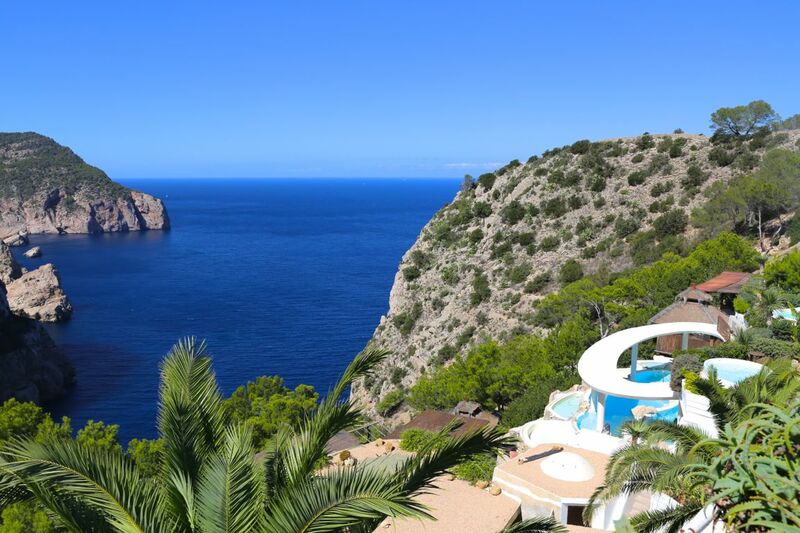 When you hear Ibiza most people think of wild party nights and crowded beaches. 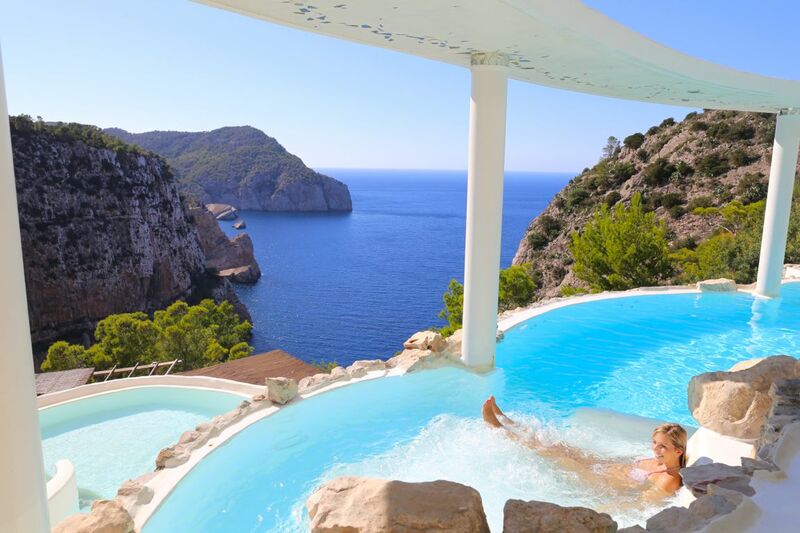 But Ibiza has also remained some of its old relaxed hippie vibe in certain parts of the island and has a lot more to offer. 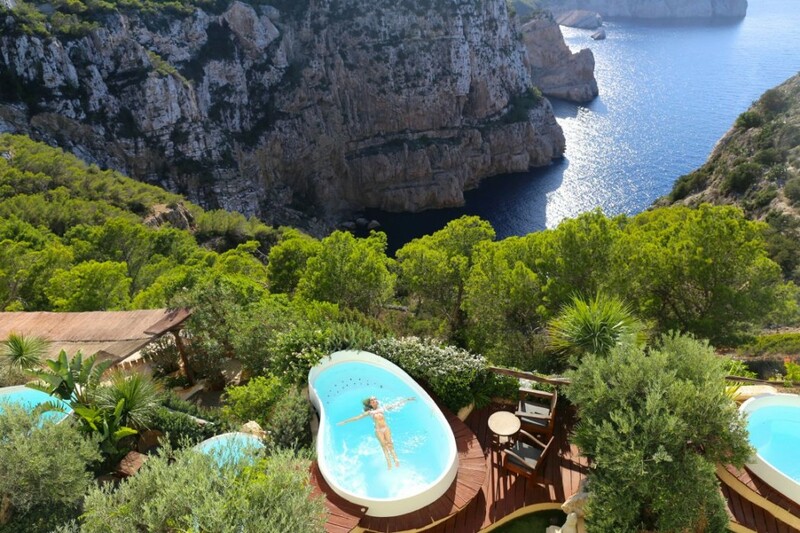 One of these hidden spots is Haxienda Na Xamena, probably the most chilled hotel in Ibiza surrounded in lush mountain landscape inviting you to relax far away from the crowds. 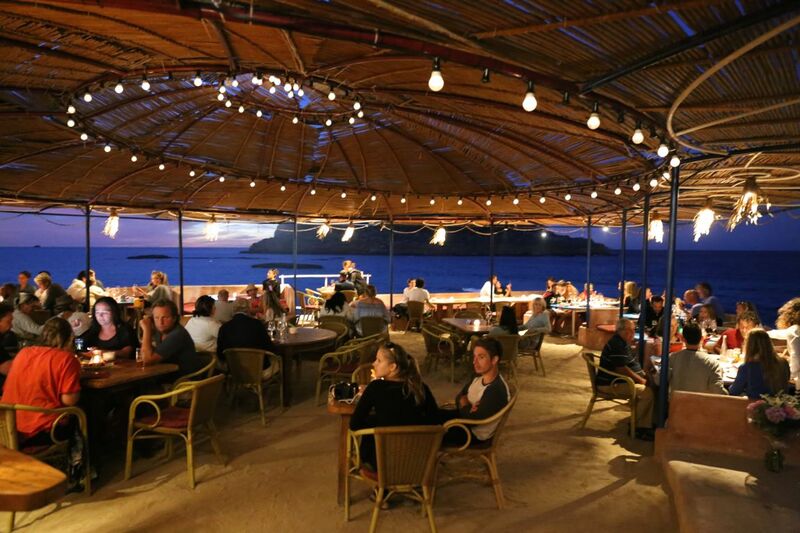 Due to its panoramic views, famous spa and privacy Hacienda Na Xamena is a frequently addressed hangout spot for celebrities, couples and groups of friends who want to chill the day away in an laid back atmosphere. 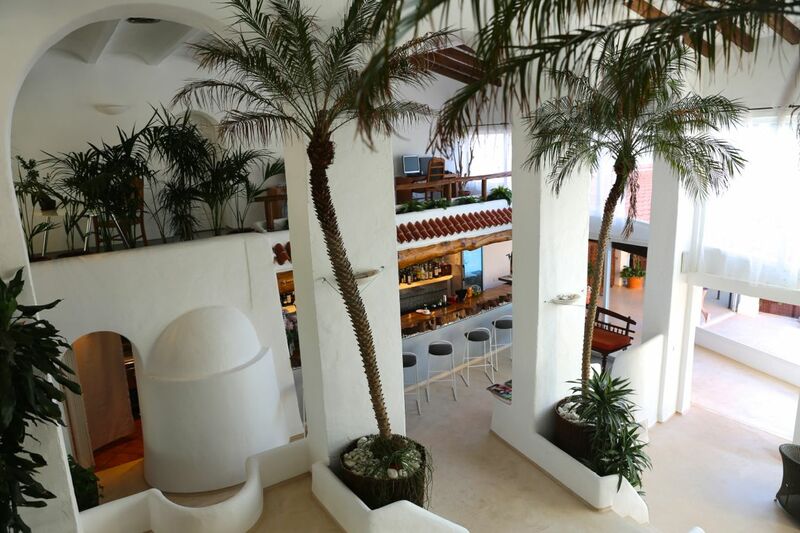 Besides my favourite spa that comes with an outdoor pool with an oh-my-god-view, I fell in love with the patio which is beautifully designed with plants, mosaic floor and a bamboo tree. 3 restaurants offer Mediterranean cuisine. 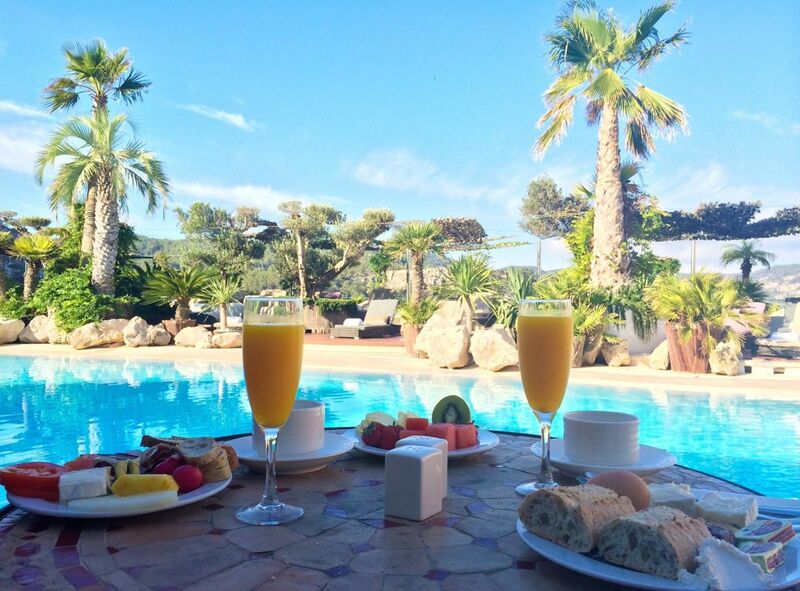 Hacienda Na Xamena is definetly a spot that shouldn’t be missed when lovebirds, honeymooners or friends visit Ibiza. 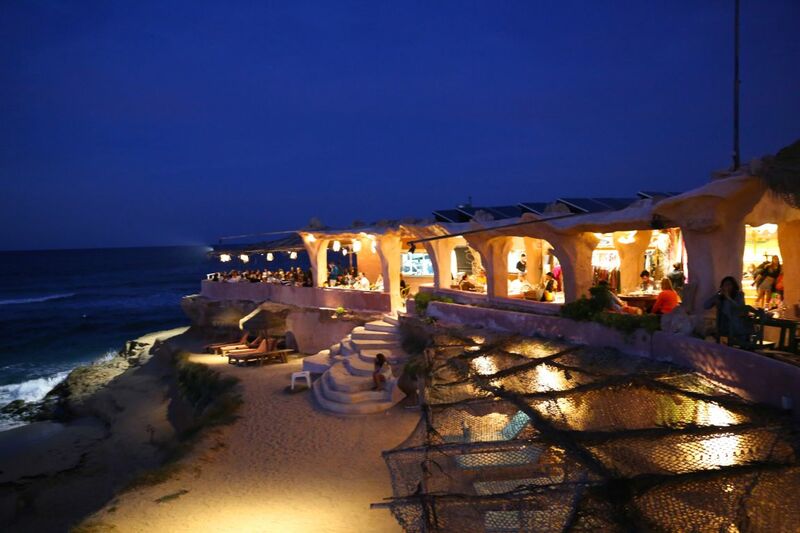 I also put together some more of the coolest Ibiza hotspots here for you that I found during my last Ibiza travels. 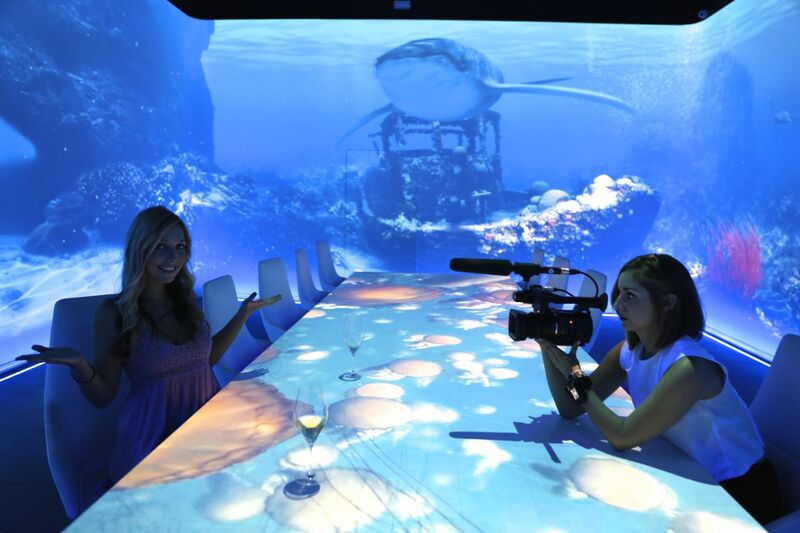 Sublimotion: I was lucky to be able to test this extraordinary place. 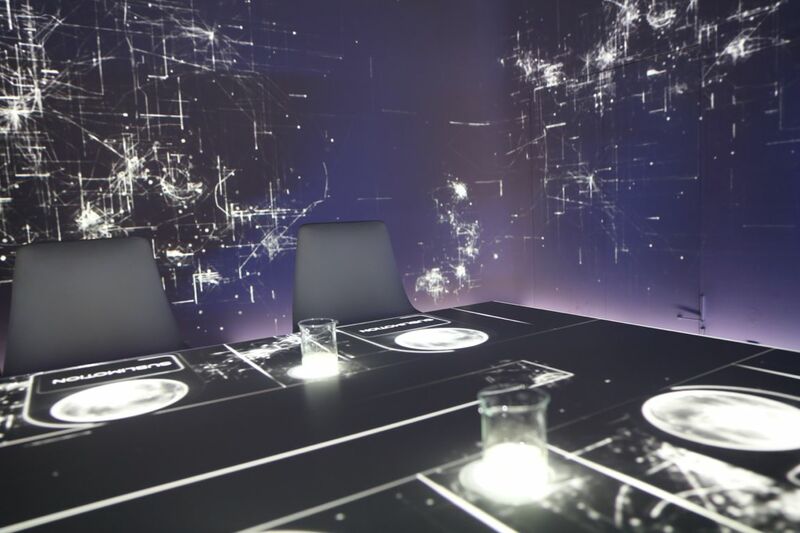 With a regular price of 1,500 Euro per person Sublimotion counts not only as the first experience gastronomy but also as the most expensive set dinner in the world. Me having more of a kids taste when it comes to food and always being happy with simple waffles, spaghetti or mashed potatoes I was not sure what to expect or what a dinner would need to be like to convice me to be worth such a high price. 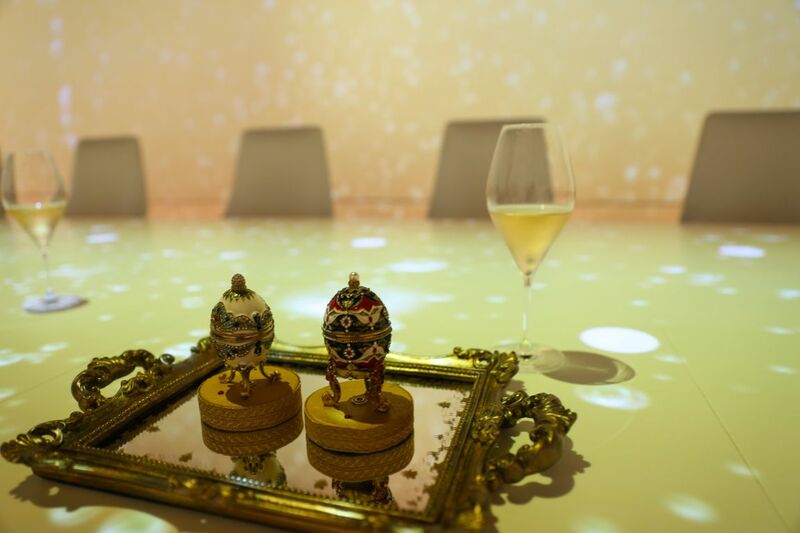 The dinner price includes 14 courses and drinks and lasts about 3 hours. 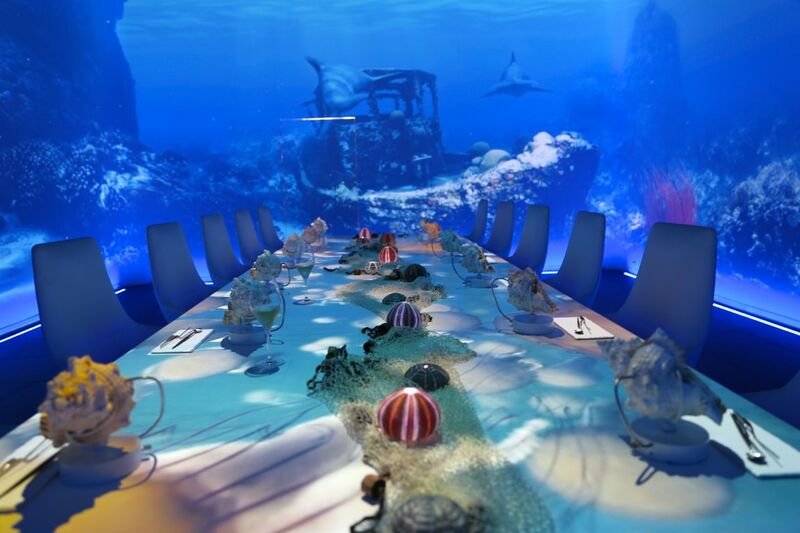 You are in one room with one table that can accommodate up to 12 people, each person having their own waiter. The room is entirely white and as soon as the show started I was like seriously?!? 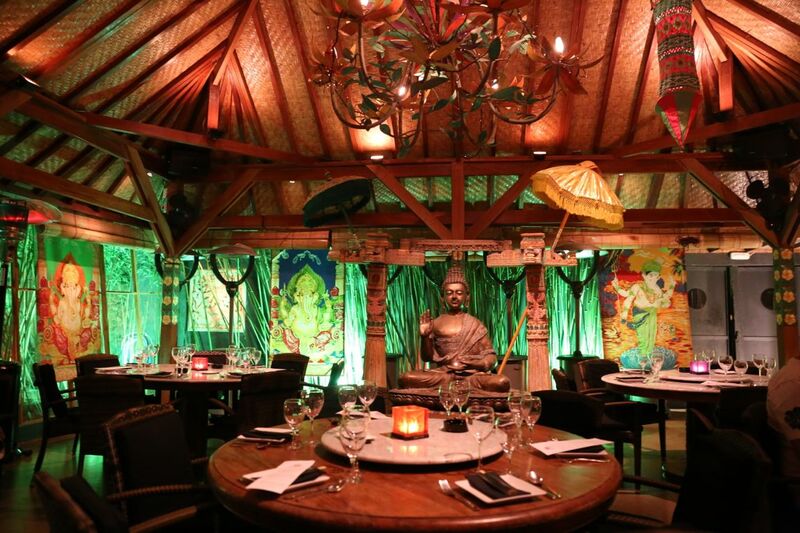 Every course has a different theme and the walls, the decoration even the temperature and the smell of the room everything changes. 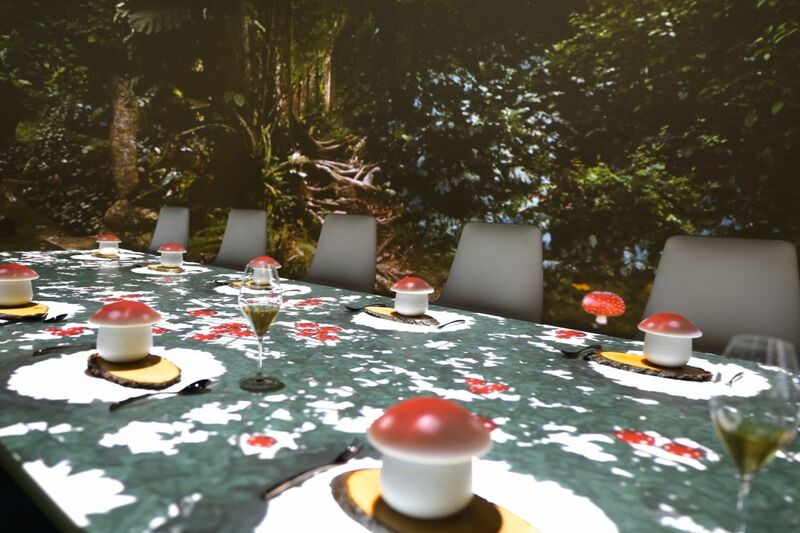 From sitting in the middle of a forest that is displayed by the 360 degree projection walls eating mushroom creme from a plate made by a tree, being transferred into the orient express theme where the table moves with the feeling of being on a train, up to being in an underwater aquarium theme seeing sharks swimming by, while your eating seafood. I don’t want to give away too much of the fun but my highlight was the futuristic theme. 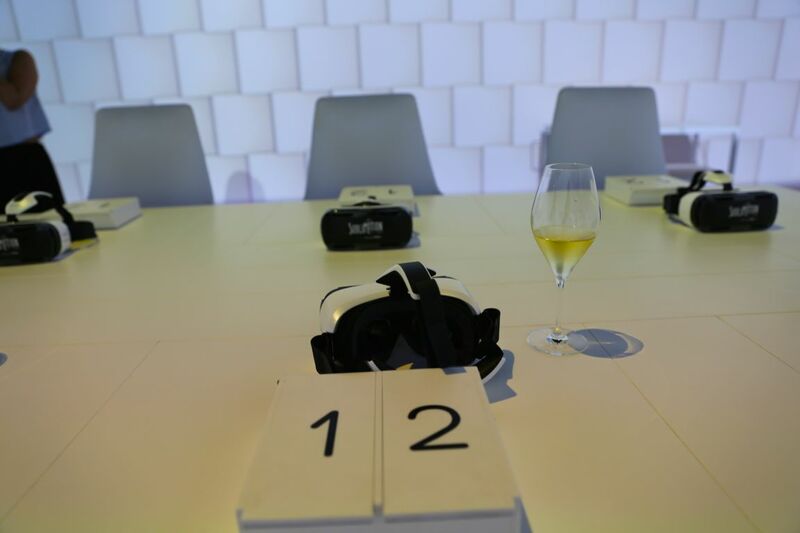 In the futuristic theme every guest will be given Samsung Gear V glasses that scan and analyze all ingredients from products and food you look at and that puts you in a 360 degree movie in which you are jumping out of a plane, are sitting on a beach and the entire atmosphere and people in the movie react with you . The entire experience is very cool and with so many details and feels so real. I remember coming out of this room looking at the smiling Sublimotion owner Paco Roncero asking ‘ and how did you like it ?’ AMAZING! 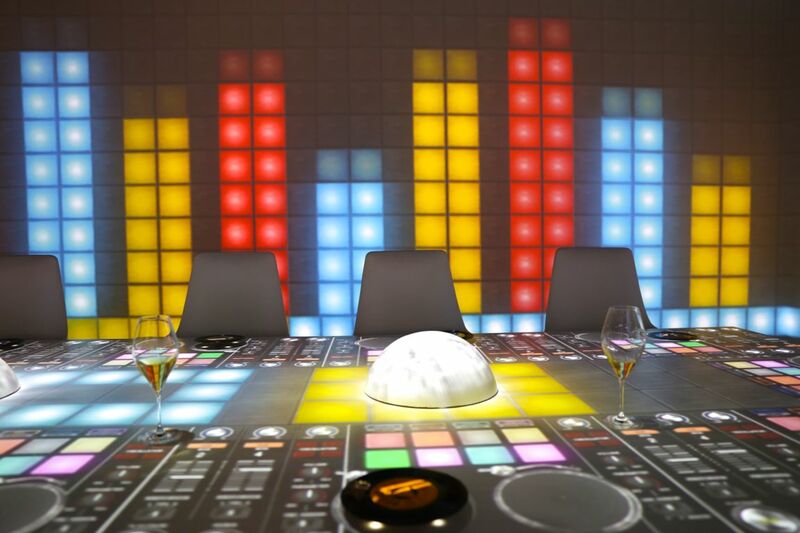 Seriously, yes it is expensive but if you want to experience a dinner you will not forget that easily or are in Ibiza for a special occasion, Sublimotion is your place to go. 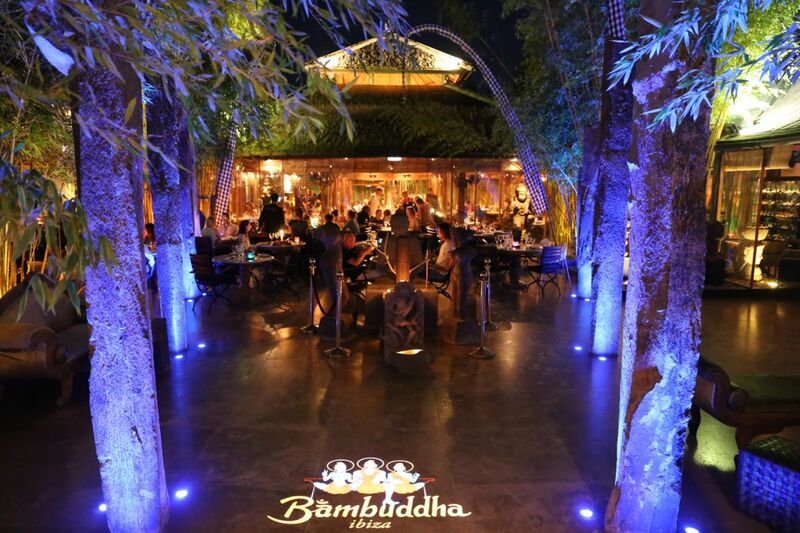 Bambuddha: Trendy Cocktail bar and outdoor Asian fusion restaurant in cool tropical setting. 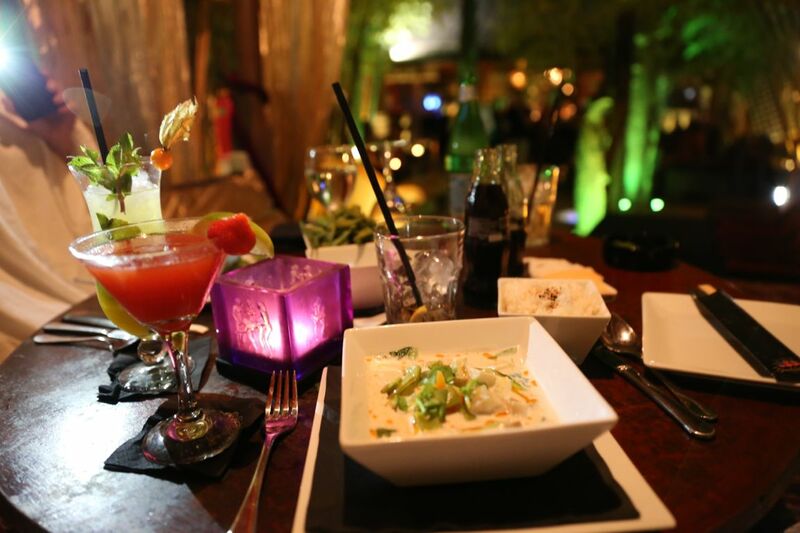 Delicious drinks and cuisine and a great place for a night out with loved ones or friends. La Galeria Elefante: Very cool hippie boutique offering all things boho from vintage clothing, dresses, interior over jewelry and furniture. Attached to the boutique is also a hyped yoga studio in which the owner gives lessons for mind, body and soul. 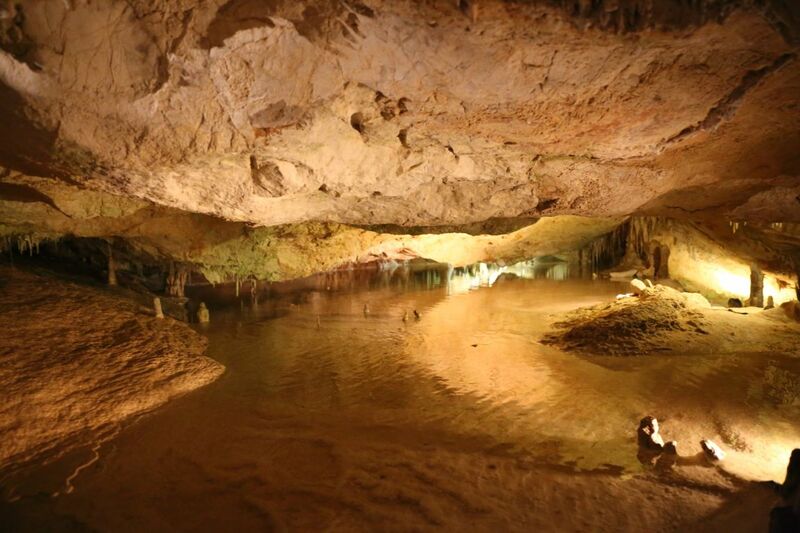 Can Marca Caves: Many of you asked me about the Cenotes in Mexico that I mentioned in this blogpost. 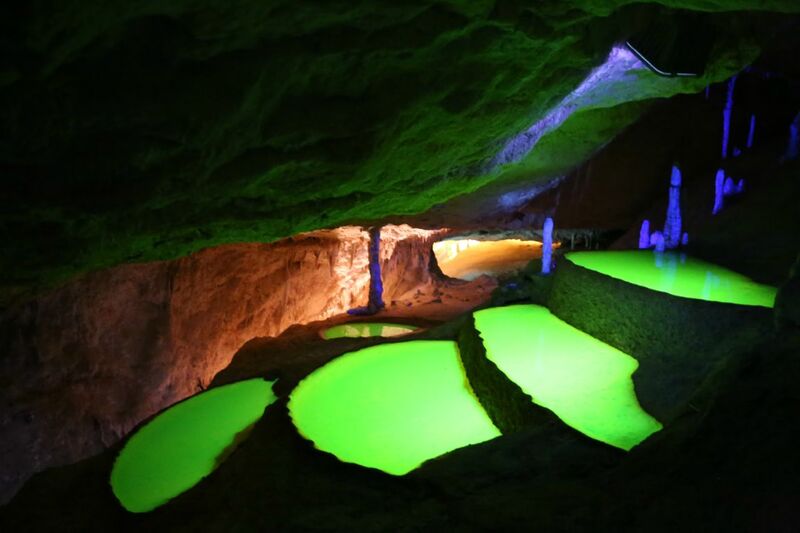 Sometimes you don’t need to travel that far to experience such nature creations. 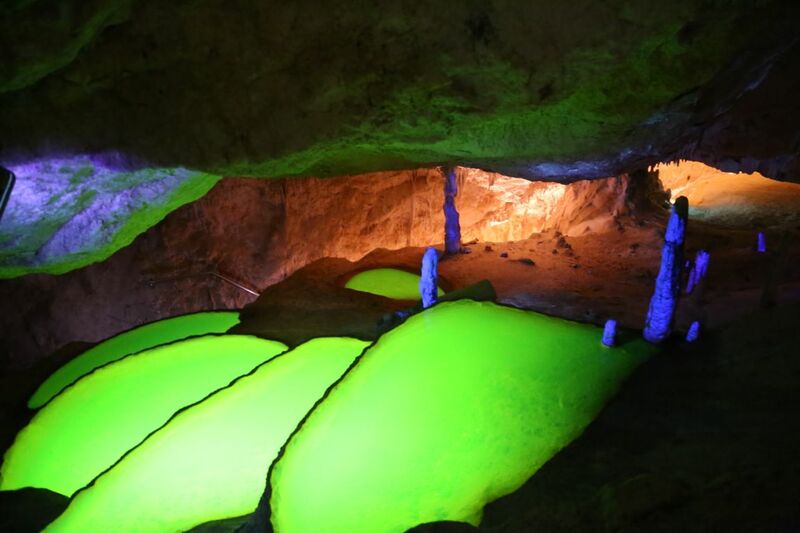 Ibiza holds the famous underground Can Marca Caves which are located in Puerto San Miguel and are a great day trip if your looking for an extraordinary thing to explore in Ibiza. Hippie market Las Dalias: Whereas Ibizas biggest hippie market Punta Arabi became quite touristy and crowded throughout the last years, Las dalias night market taking place Mondays and Tuesday evenings in San Calos is still meeting point of locals in Ibiza and invites guests to vintage shopping in a more cozy atmosphere. 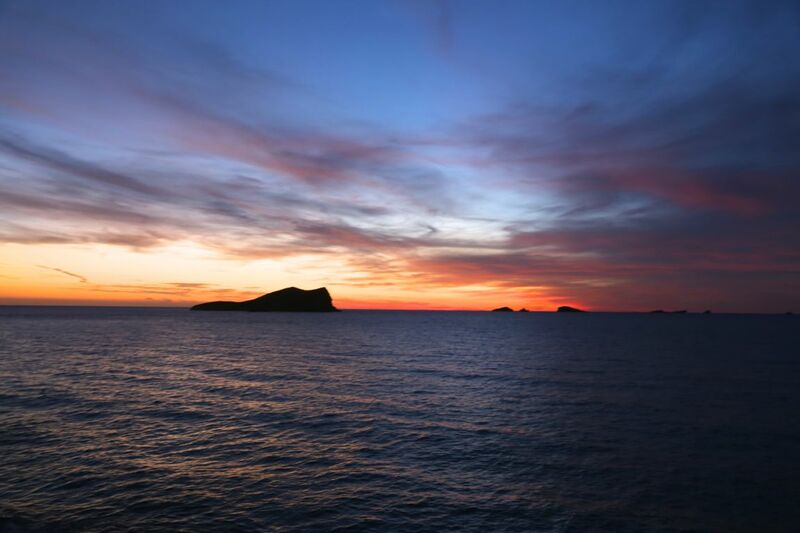 Sunset Ashram: Not really a secret anymore but legendary Sunset Ashram remains the best spot to watch the beautiful Ibiza sunsets while listening to chilled house music. 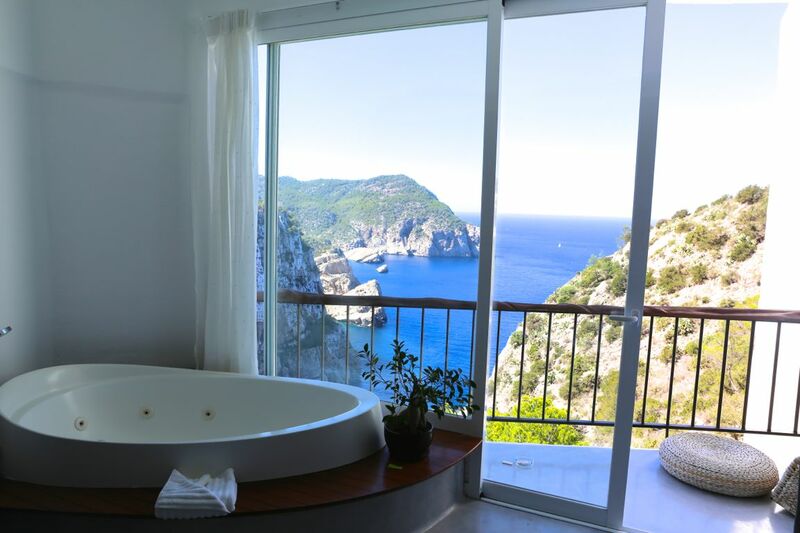 was für ein tolles Hotel du da hattest und erstmal der Ausblick… Hammer..
Bekomme sofort Fernweh – vor allem auch noch bei dem Wetter..